Every small group is different, but most small groups will meet for 6-8 consecutive weeks and take a break once they finish the Fall or Spring semester. 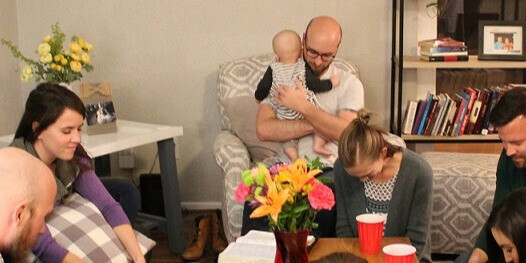 Small groups meet in homes. We can help you find a small group near or one with people you may already know. It depends on the kind of small group you choose. Some small groups serve on the same team at church. Other small groups study the Bible together. And some get together to enjoy fellowship and prayer. Some have all of these dynamics represented. You know as much as anybody that it's important to be connected. We know it's hard to connect with others and build lasting friendships. We know that even defining community is tough because being in community is more than showing up for Bible study. It's also table fellowship, laughing till it hurts, and having shared history.